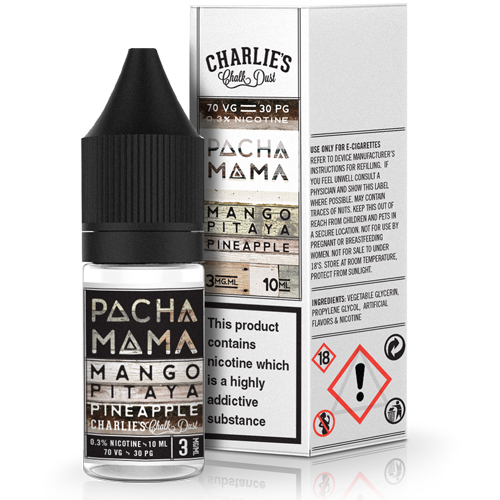 Pacha Mama are three tasty fruit-based eLiquids, from the makers of Charlie's Chalk Dust. This is their exotic Mango, Pitaya, and Pineapple blend. Pitayas are small, sweet fruits, and a cousin of the Dragon Fruit.